Skincare treatments for hyperpigmentation, melasma, & uneven skin. Are you living with dull, uneven skin tone, with dark spots and patches that you wish people didn’t notice? Have you ever wondered how to get rid of this and feel more confident about the appearance of your skin? Just enter your email address above to receieve your free ebook on the 5 secrets to improving uneven skin tone. 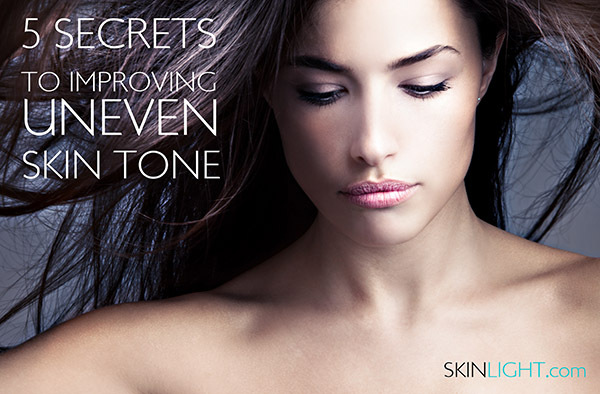 Full of tips and advice on how to achieve a flawless, radiant and even skin tone. Plus, receive weekly newsletters with special offers, product news and fascinating articles.